As a very hands-on, touchy-feely type of person the texture of the items I own is just as important (and sometimes more so) than the aesthetics of them. Items that simply feel good in my hands are nearly impossible to resist. Generally I am safe from that particular shopping urge when browsing online. However, somethings simply LOOK so soft or smooth that simply a picture is enough to trigger that compulsion. Witkopwoodworking is full of such wonderfully tactile pieces. A masterful craftsman, Richard's curvaceous vases and generous bowls are obvious labors of love. Each piece would be perfectly at home on either end of the decorative-functional spectrum. Which is what makes these items such outstanding gifts. 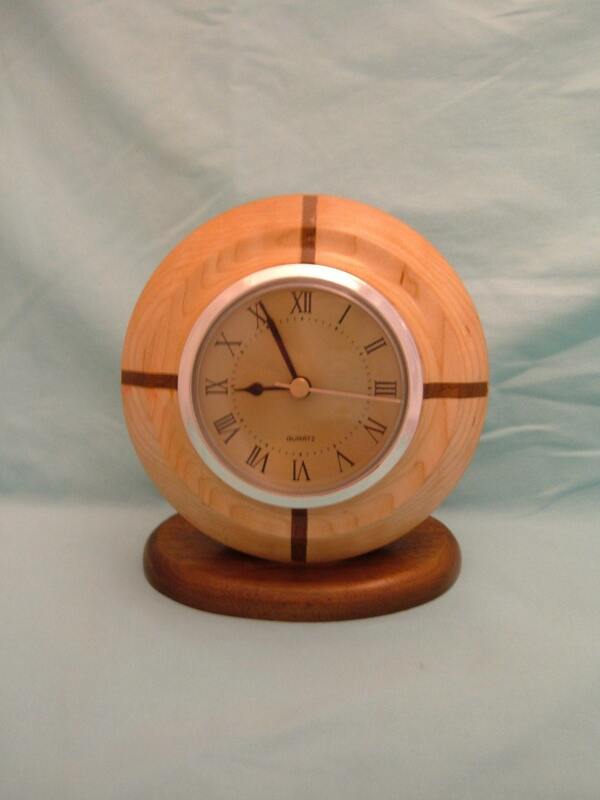 One of my favorites (and, indeed, what lured me into witkopwoodworking) is the clock shown below. The smooth, curving exterior makes my fingers itch to caress the casing and the striking inlays of black walnut appeal to my aesthetic sensibilities. This versatile piece would be at home in the office or the craft room or even up on a mantle. With it's classic style and relatively unobtrusive size this is a gift that could be appreciated and used by recipients with a wide range of tastes, styles, and decors. 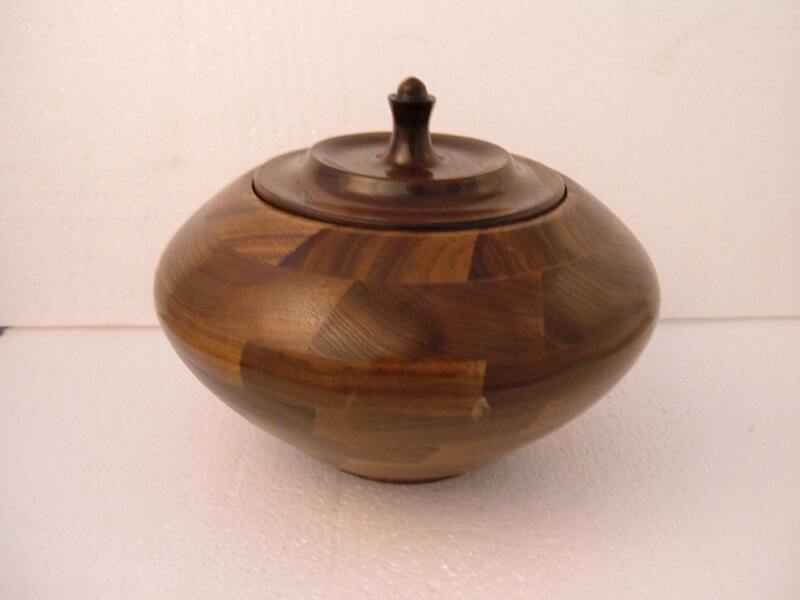 Another very adaptable piece is the black walnut bowl below. Again, the clean look and graceful curves make this a classic and multi-functional piece. This is a little like the classic "little black dress" fashion magazines are always talking about. It's a classy, functional item that will blend with almost any decor. Which means you buy now and use it forever. Maybe it begins life holding change or receipts, then gets conscripted into a jewelery box, then becomes a space for special momentos, and finally gains a special space on the mantle. Or perhaps it does a stint in the office holding candy on your desk. Or maybe it holds bibs and bobs of thread by the sewing machine. The possibilities are endless, but one thing is certain--wherever this little bowl sits it graces with a bit more style and a bit more class. Personally, witkopwoodworking will be at the top of my list this year for holiday gifts. The understated, classy nature of his pieces makes them a perfect fit for everyone from my natural loving in-laws to my minimalistic brother.